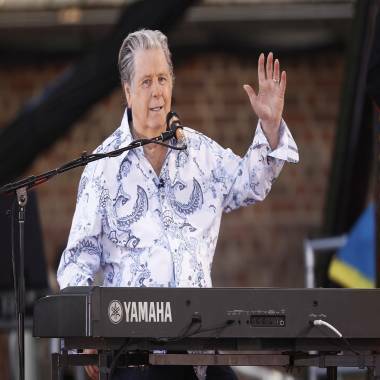 Brian Wilson has posted a message on Tumblr revealing that he had surgery to correct a problem in his lower back before the Beach Boys' 50th anniversary tour, and that he underwent the "cutting-edge" procedure again last week after his back issues resurfaced. Full text of the letter follows below. I’ve been reading the posts where some of you are concerned about my health in general. I want to let you know that before the Beach Boys 50th tour started I was having some lower back issues right around the time we performed on the Grammys in February. This is the same type of problem that Carl used to suffer from, it's hereditary. But being able to tour with the Boys again meant so much to me that I wouldn't have missed it for the world. Luckily, I was able to get this new cutting edge procedure that totally worked. But after this last run in Australia it came back and I had the procedure redone this week. I feel so much better already and can't wait to get back to my second home, London!! The Beach Boys' Brian Wilson: "I don't think I look or act 70"